I attempted to look at the itinerary that I had planned out to remind me of what we did on which day but I could not for the life of me remember. I have the worst memory aside from J’s. But I suspect she gets it from me anyway. So I decided to give you the highlights of the trip. Big Bus Tour: Honestly, it was interesting. 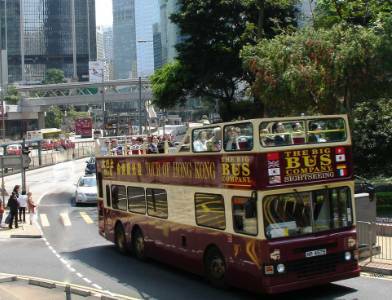 There are many options for this tour, including a bus/ ferry tour to Kowloon island but we took the shortest one around Hong Kong Island. As it was about 8 degrees warmer than I had thought it would be my choice of a wool top was not a good one as we sat in the blazing sun on the exposed roof of the double-decker. We boarded 15 minutes before the bus was meant to depart. At the -13 minutes mark the children started complaining. Thank God baby B was having his nap at the hotel otherwise being confined to one spot for so long would have drove him (and I) crazy. they handed us headphones to listen to the pre tapped guide of all the monuments and buildings we would pass by. But they were the kind that go inside the ear. Obviously, they had not taken children into consideration when doing this. We spent the majority of the trip trying to get them in the children’s ears, then trying to keep them in, then S gave up and just asked me to tell him what the guide was saying. Because he was actually interested I obliged. So when the guide said “Hong Kong is considered one of the most densely populated cities in the world.” I would say “There are a lot of people in Hong Kong”. 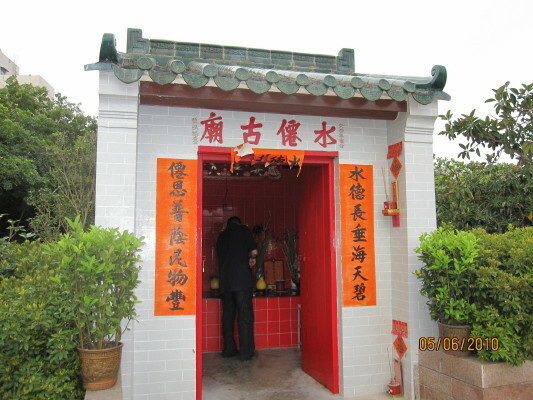 Or when he would say “On your right is the Bank of China. 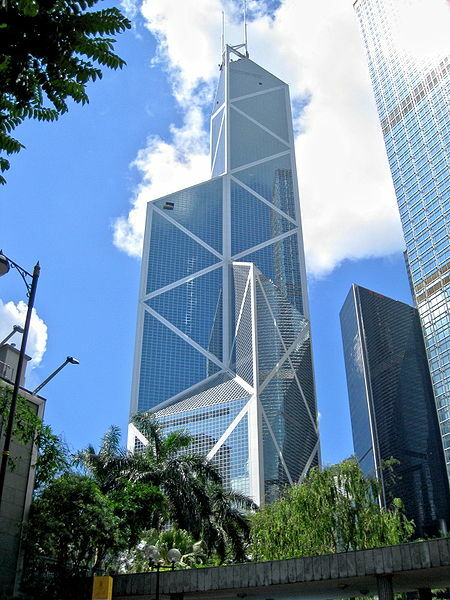 Some practitioners of Feng Shui have criticized the building for it’s sharp edges and X motifs” I would say “Thats the bank of china, they don’t like the way it looks”. 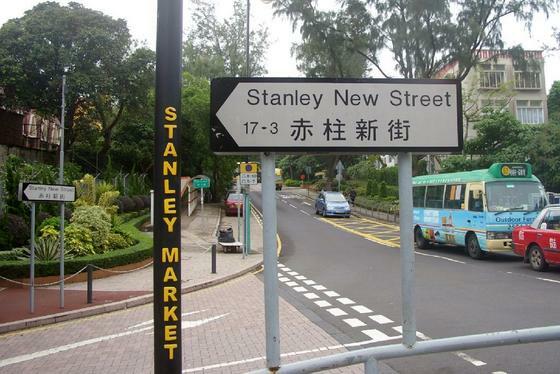 Stanley Market: The weather was perfect for it, we walked the length of it constantly repeating “We don’t need that. No, you can’t have those. You have 2 of those already! That isn’t even your size! Put that down!” But it was a good exercise in self-control because we told the kids they could choose something to buy, one thing, after they had walked the whole way around the market and seen everything. That way they could make an informed decision. Hong Kong Park: 40% of Hong Kong land are country parks! This outing happened on one of our sick days. (more about that later) so the kids went and all I know is that there were a lot of stairs and apparently they decided it was a zoo not a park. Not sure what that was about. But S found some boys with a football and organized a game. Also, we had some friends who had just moved to China so they flew over to join us. Sick Day: M woke up feeling less than 100%. My immediate reaction, there’s nothing wrong, you’re not getting sick! I assume this will scare the feeling away or something. We went furniture shopping in the morning on Queens Road East. We passed by a tiny bakery called Sift that served cupcakes and I was desperate for something sweet. So I got us each a cupcake. As we were walking, I inhaled mine and loved every bit of it. My husband ate his and almost the second he finished he got intense pains in his stomach. I, as usual, told him he was fine and thought we could walk it off. It was obvious though that wasn’t going to happen when he started doubling over, so we hailed a cab and went to the hotel. Welcome stomach flu. That’s where the days get mixed up. Just to clarify, the cupcakes did not give him food poisoning, the cupcakes were divine. I had more a couple of days later and they were still divine. So I highly recommend them. But M had to watch what he eats and stay away from dairy because dairy gave him an awful stomach ache and ridiculous nausea :( So, in other words no Italian food, no Sushi and no Chinese food. We stayed at the hotel and had clear vegetable soup for a couple of days. Central: During these horrible sick days we stayed in the hotel area, which is called Central. Staying in that area was not so bad since it was surrounded with every imaginable shop you would want. It was also where the IFC mall is that has a great cinema and fantastic restaurants and cafe’s. Book shops in the area were great (Dymocks in IFC) they had really nice toys for kids and while the selection of books was not huge the ones they did have were fantastic. In another building connecting to IFC via foot bridge is Prince’s building that has a mother care in it (for baby emergencies) and a great little hobby shop. Look, Hong Kong is amazing for shopping. In all honesty, that was the highlight of my trip. I won’t lie to you. Disney HK: On the day before leaving we went to Disney HK. It is much smaller than Euro Disney (the only other Disney I have been to) but that is not necessarily a bad thing. We got through the whole thing in a few hours and were not dead tired by the end of it. The people in Hong Kong have no sense of personal space what so ever. Maybe it is because they come for such a populated country but it is really unnerving sometimes. For example when you are in a lift, or standing in line, people just stand way too close. They would also have no trouble standing between you and your husband for example in the middle of a conversation. Or a couple standing so close to your child that he might be mistaken for their son but for the fact that he wasn’t Chinese. Even standing in line waiting to get on a ride was weird because people would stand very close to you, or push. But it was Disney and they loved it. There are expansions happening and apparently this time next year it will be double the size it is now! That was a our trip. A huge part of the trip was spent in front of the television watching the chaos in Egypt unfold. Or at the hotel because M was unfortunately not well for a good chunk of it. But I would (and inshallah will) go back again sometime. Also, good to know, no tax on any shopping :-) some trouble finding sizes, but not too bad. Can’t wait to go back again! Going through the whole market and then choosing one thing was a good idea in my opinion. 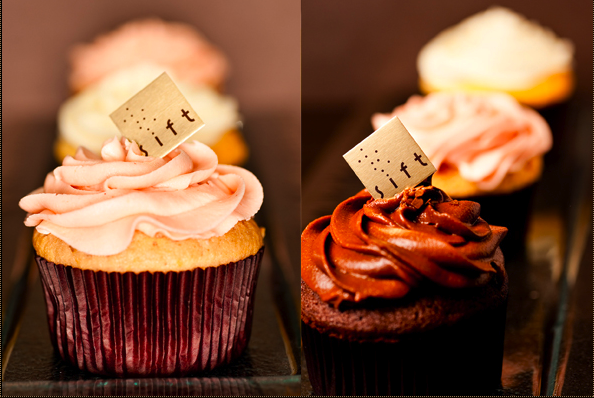 I am in awe of those cupcakes…I can’t seem to take my eyes off of them. EXACTLY!!! That’s why I had to taste them. And they look exactly like that in real life. Then u better hurry since they are expanding! My kids are dying to go to Disney (Any of them would do I guess). I promised my son that on his 10th birthday we’ll try that (inshallah) I thought I was talking about an event ages away, to my surprise it two years from now.. I need to start saving. Sorry to hear you had sick days on the trip, glad you still had a good time. It was really nice. Hong Kong is a direct 8 hours from here. But 10 hours back! because of the wind or something. Euro disney might be a better option if you want the full disney experience.